The battle for Calder Cup Playoff entries is going down to the wire and the long grind of the regular season is adding up on the players. 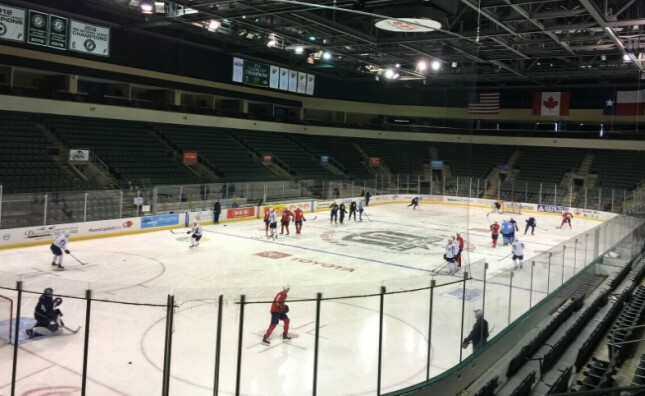 After a travel day Sunday, and a light day of training yesterday for the Manitoba Moose, tanks are a little more full as preparations ramp up for tomorrow’s game here in Texas against the Stars. Also up is Manitoba’s confidence after sweeping the Eagles in a hostile environment on the weekend to move into a post-season spot. Shaw leads the Moose with 25 goals, one more will make him the top single season goal-getter in the club’s 2.0 era. With eight wins and an overtime loss included in their last eleven starts, the Winnipeg Jets’ American Hockey League team has moved into the final playoff spot in the Central Division, just a point ahead of tomorrow’s opponent. Two weekend wins in Colorado featured stellar goaltending, scoring from the d-corps, and clutch special teams play. Manitoba got its game-winner on the power play Friday in Colorado and came back to tie Saturday’s rematch with an extra-strength goal. Shaw leads all Moose players with ten goals on the man-advantage. Meanwhile, the penalty kill has nullified 32 of the last 36 chances against. 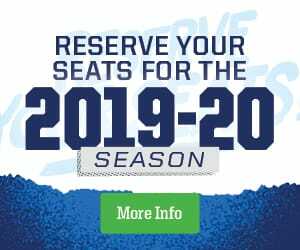 Tune in to coverage of Wednesday’s game on TSN 1290, moosehockey.com/listenlive, the Moose App or streamed live on AHLTV.